I develop and design websites. I love doing it and I cringe a little, okay a lot, when I see issues in these DIY platforms that are not beneficial to the goal of being found easily online. Before I tell you why I can’t offer Shopify websites to my clients let me tell you what I like about Shopify. For those of you who are not familiar with Shopify, it is primarily an e-commerce website platform with over 100 free themes to choose from. I have had the opportunity to work with several entrepreneurs who wanted to increase their online presence but didn’t exactly know what they needed to do in order to get there. Although I typically work in WordPress, I have had many clients using and loving Shopify so I invested the time in learning the platform so that I could provide SEO support for my clients. From an SEO perspective, they have some easy back-end directives that allow users to plug-in title tags and meta descriptions. If you are not familiar with those terms, it is the data you plug-in to each page on your site that makes up the text that Google uses in your organic listings. Shopify also allows users to add Heading tags. Alt tags for images, categories and post tags. I appreciate that the opportunities to increase online visibility are well-marked and easy to access. I also really like the look of Shopify sites. There is not one that I have come across that wasn’t beautiful and easy to navigate. So from a user experience perspective, Shopify has done a great job with template design. Alright, here it goes,I am going to get some flack for this post, I just know it. I know a lot of Shopify lovers and they are very loyal. If you simply Google Shopify you will see nothing but five-star reviews. So, it is very possible that I am in the minority here. Although I love wordpress, that’s not to say that I am not open to learning and working with other platforms. I have worked on squarespace sites and Wix, and I’m excited to see what Sound Cloud is all about. But the truth is, I really want to like Shopify. If it were not for one giant issue, they would have my endorsement. I was so confused. So, I tried typing in her URL directly. That time it took me right to her site. My meeting ended shortly after that and we agreed to follow-up with Shopify to see if there were some sort of issue. Shortly after that, my client got an email from someone looking for her website and they came across the same problem. So I called Shopify and they told me that the problem is that they do not offer SSL certificates for the whole site, only the shopping cart, furthermore that my client didn’t need security on the whole site and it was not a big deal. He also said Shopify offers whole site security to their large clients but not for the majority of the users, but that it was something he thought would be in the pipeline for everyone at some point. The gentleman I spoke with was very nice and provided a clear explanation but I really could not believe what he was saying to me. 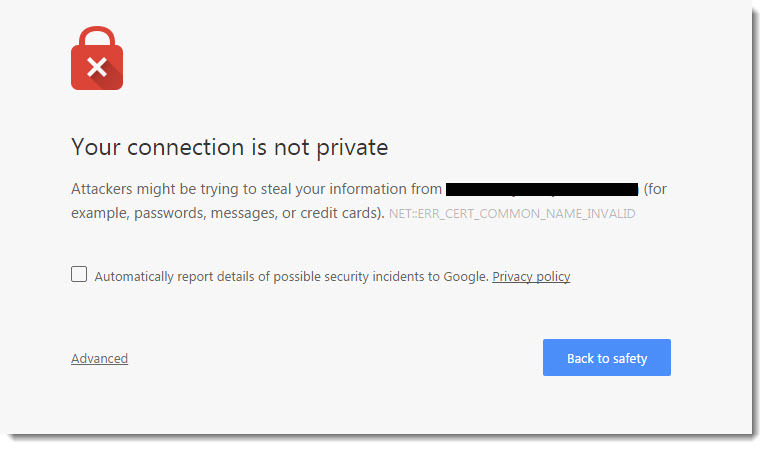 How could an e-commerce brand like Shopify with over 100,000 users not have a complete SSL Certificate program for their customers whose business depends on site security? 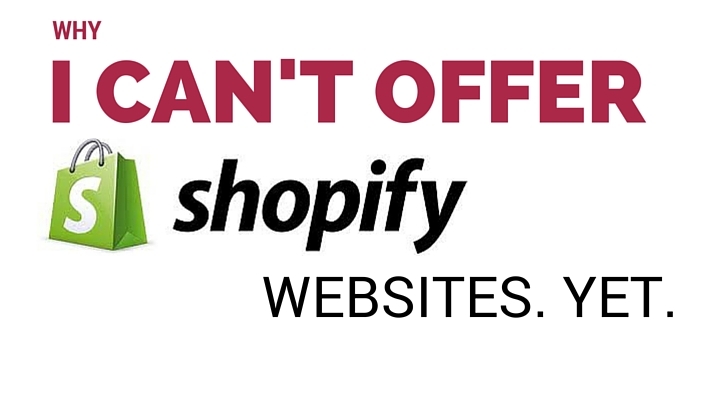 From a marketing perspective, my Shopify clients are potentially losing business because of this. If someone goes to your site and sees a huge error, saying that this site is not secure, would you proceed and put in your credit card? I wouldn’t. Again, maybe I am in the minority, but this bugs me and until it is fixed, I will not be able to endorse Shopify as a small business solution. I hope that the correction is coming down the line sooner than later so I can take it all back. To be continued….